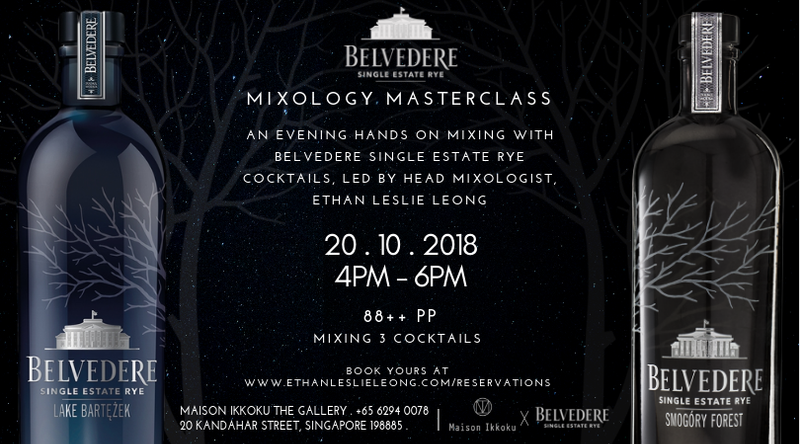 Belvedere Single Estate Rye Mixology Masterclass led by Head Mixologist, Ethan Leslie Leong! The Belvedere Single Estate Rye Series represents an extraordinary exploration into the idea of terroir (soil, topography, and climate) in vodka. Terroir and Vodka? Yes you heard it right! Join us and Immerse yourself in the world of the 100% Rye Vodka Series! You will get to learn more about the true character and each of the distinctive taste profile whilst participating hands-on mixing 3 cocktails in this 2 hours session. A fun-filled Saturday evening awaits!